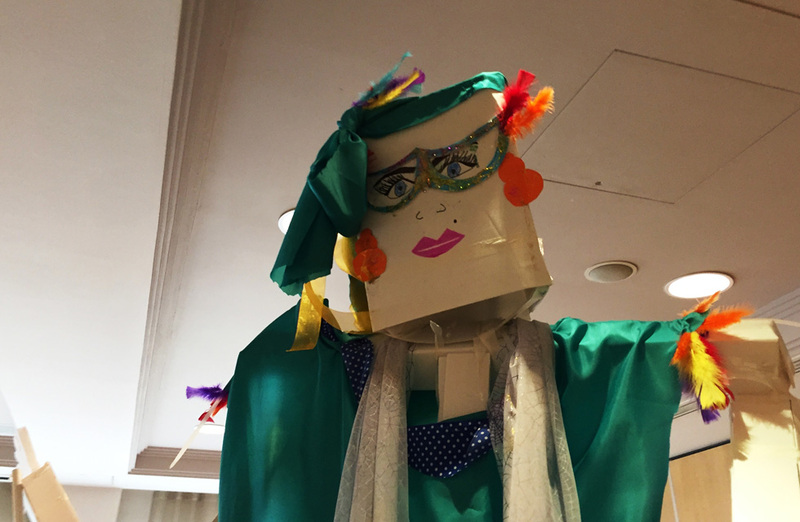 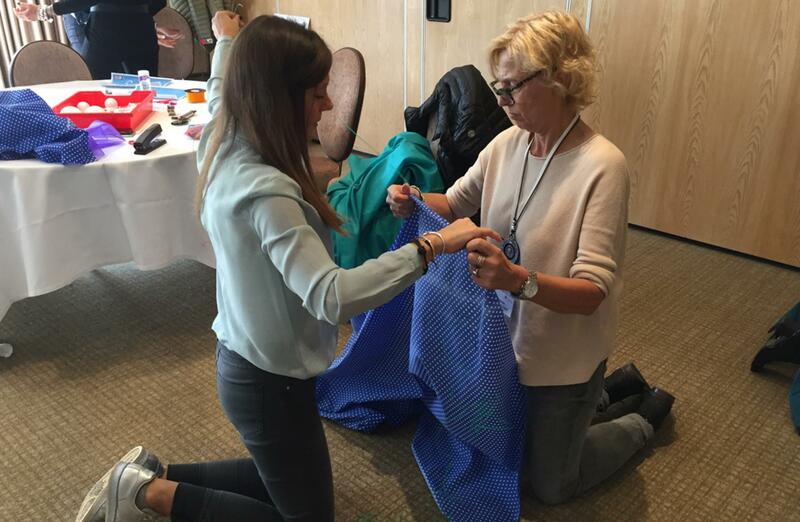 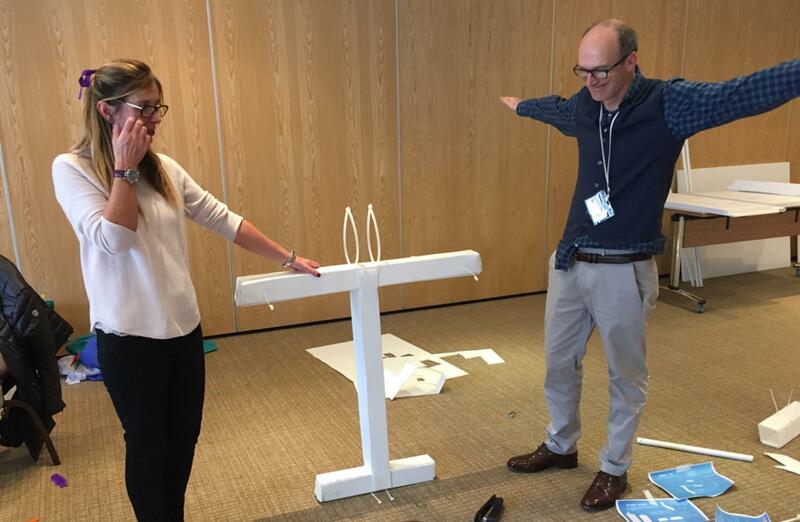 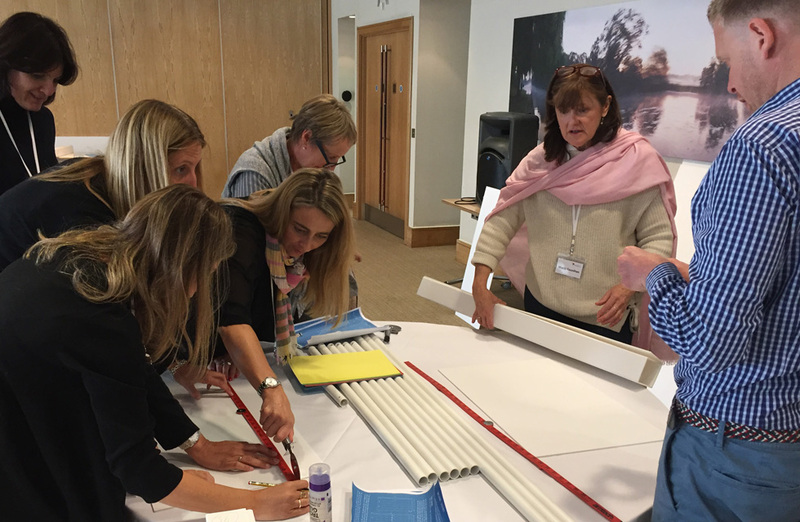 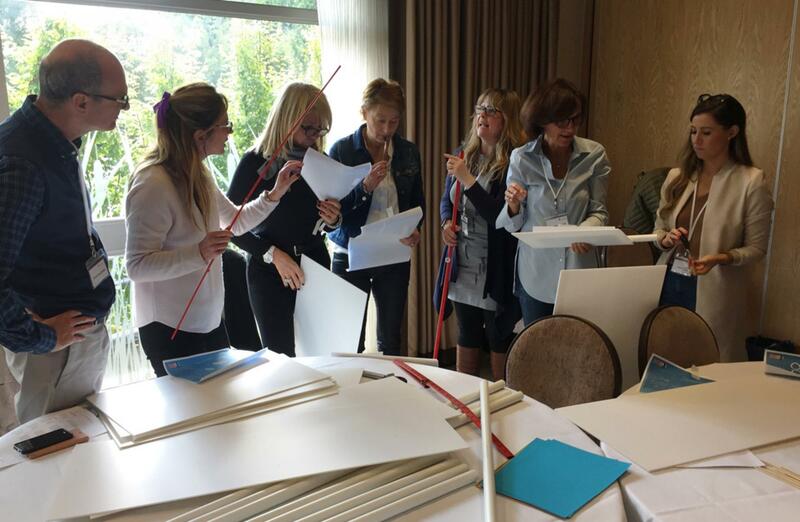 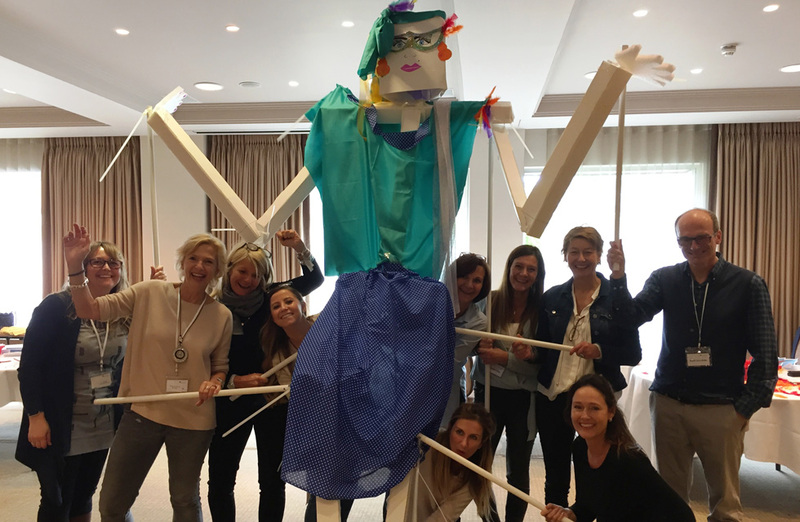 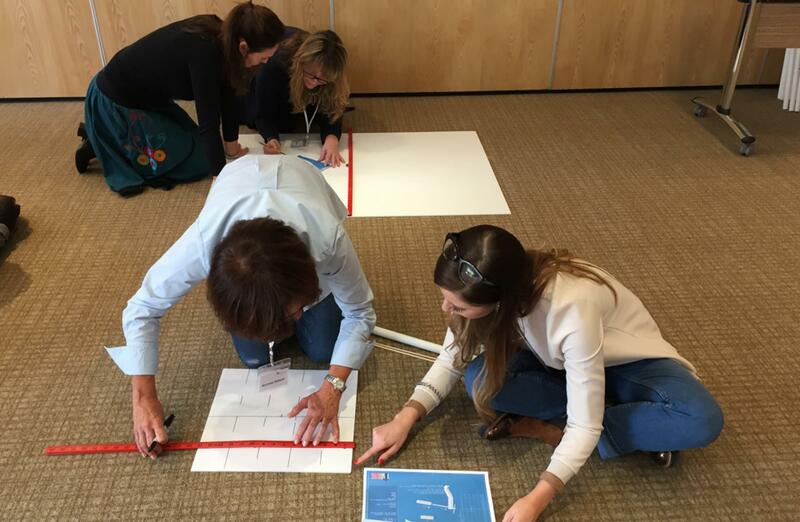 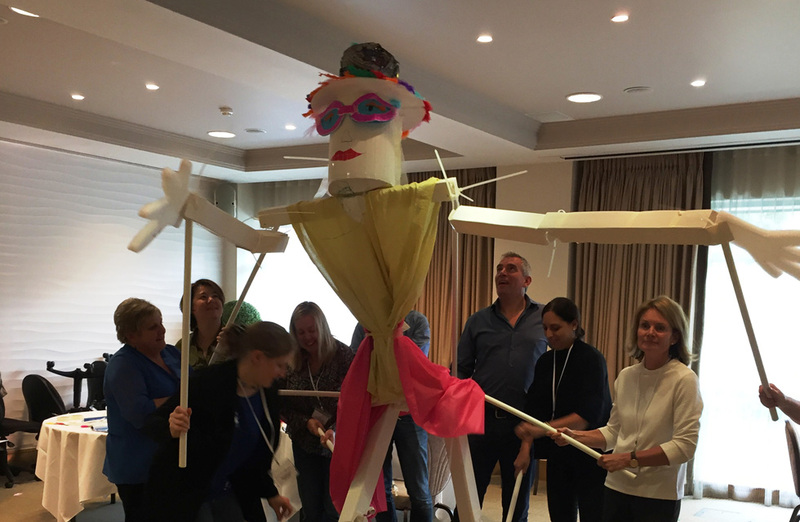 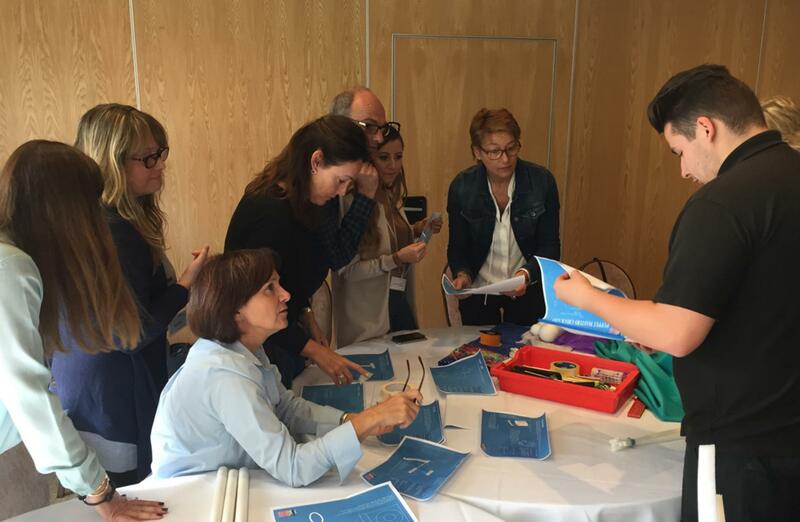 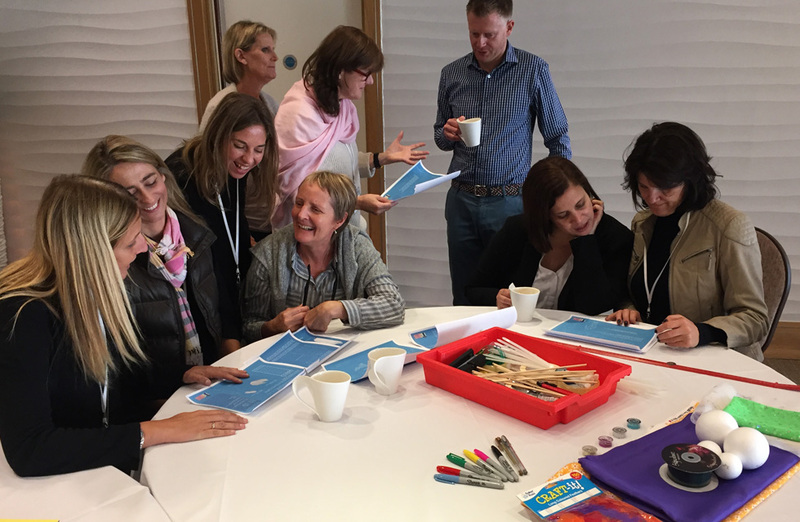 The fabulous Runnymede Hotel near Windsor played host to a fun-filled and highly collaborative team building session in the shape of our much-loved Puppet Masters event. 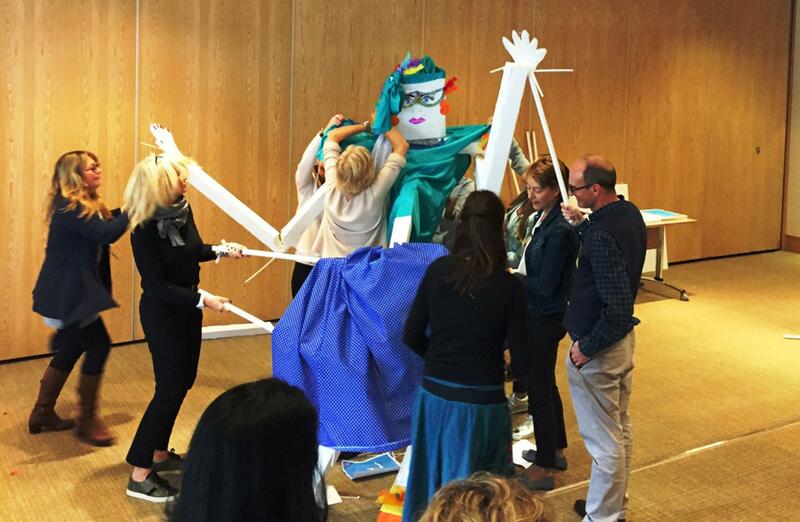 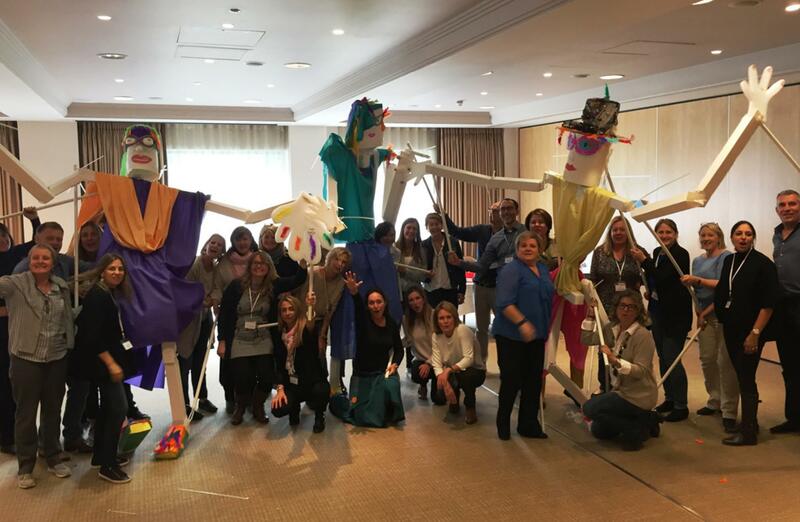 The premise was simple – using limited yet very specific materials, a set of high-level blue-prints, and lots of creative imagination, our teams from Astellas Pharma were tasked with design, building and bringing to life their very own, 10ft tall puppet! 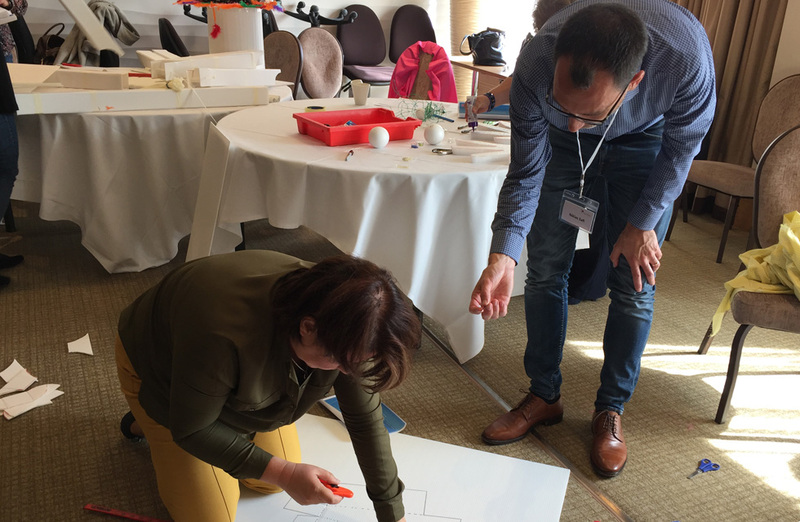 As our guests entered the room following a morning of conferencing, there was certainly a sense of nervous anticipation at what lay ahead – but following a quick brief and a scan through of the blue-prints, our teams were soon hard at it as they bid to become Puppet Masters! 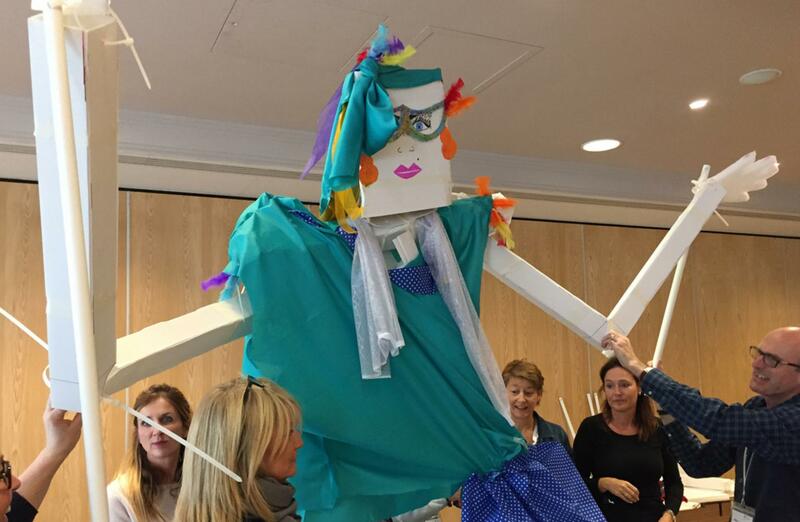 Using all the skills at their disposal, our teams quickly split into subgroups as they project-managed their tasks from start to finish…some worked on creating the limbs whilst others began designing puppet clothing, and others still worked on the mechanics of how the puppet would move. 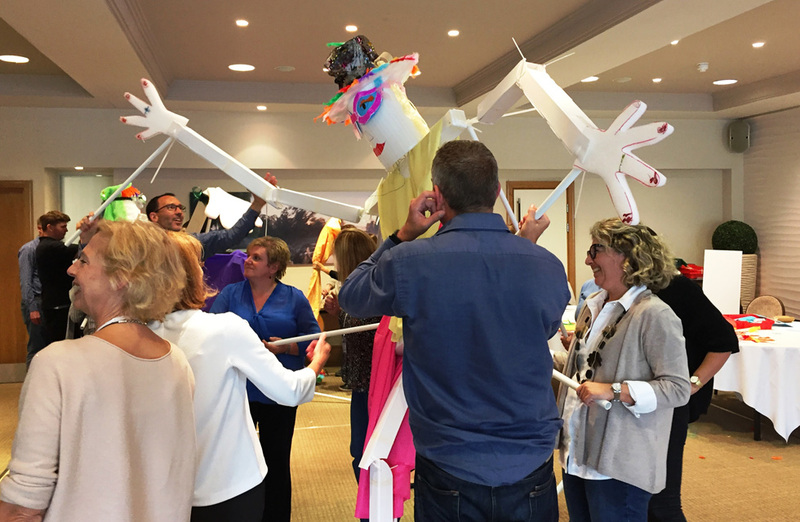 With so much to do and in a fairly short 2 hour time frame, the atmosphere was tense and the energy electric as our puppets slowly began taking shape. 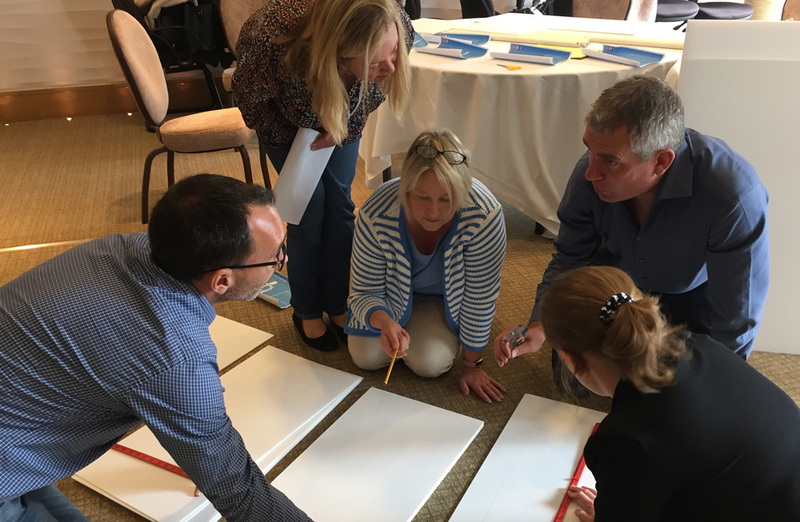 Slowly but surely, recognisable structures began to form. 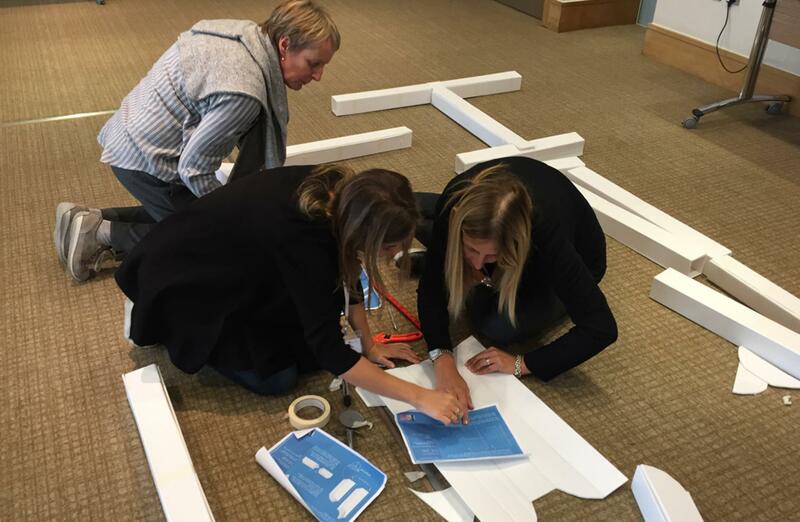 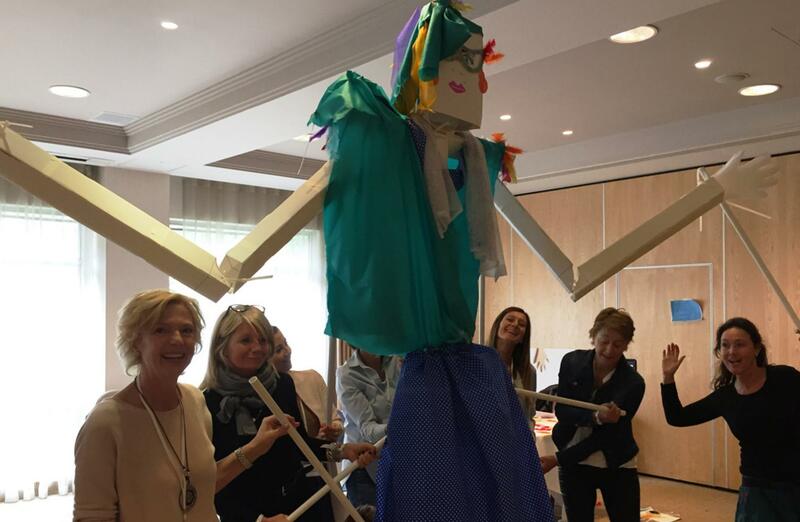 Our fantastic guests from Astellas Pharma really got into the swing of things, and the collaboration across teams was fantastic to see. 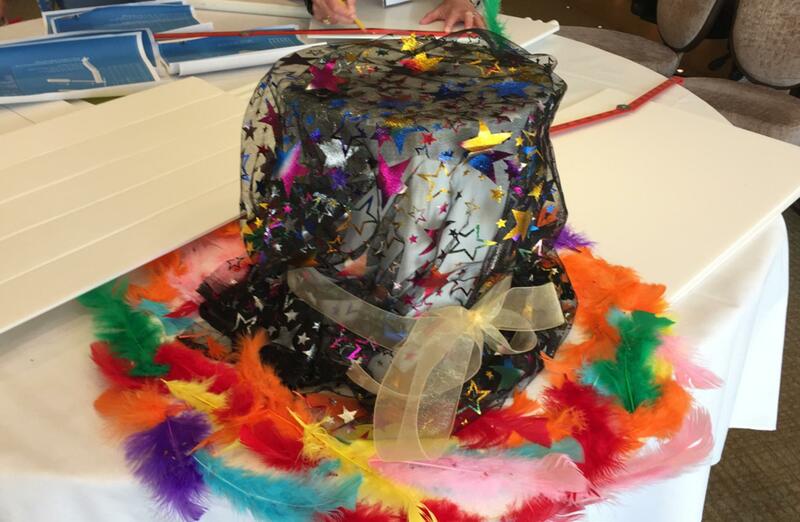 Some teams borrowed materials, others leant their skills, and some even showed off how to make the perfect puppet hat as a sense of team work, community and shared success filled the room. 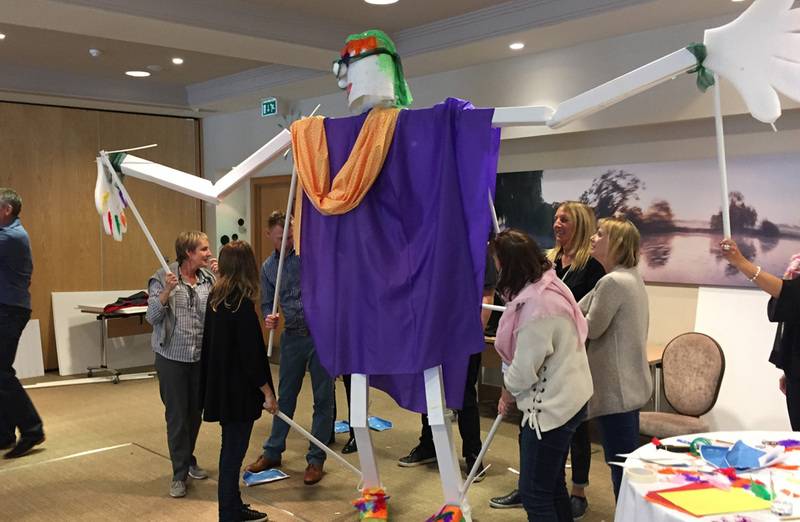 There was a nail biting climax as our teams chose to push lunch back to give them more time to finish their masterpieces, as step by step our 10ft tall puppets emerged to fill the room. 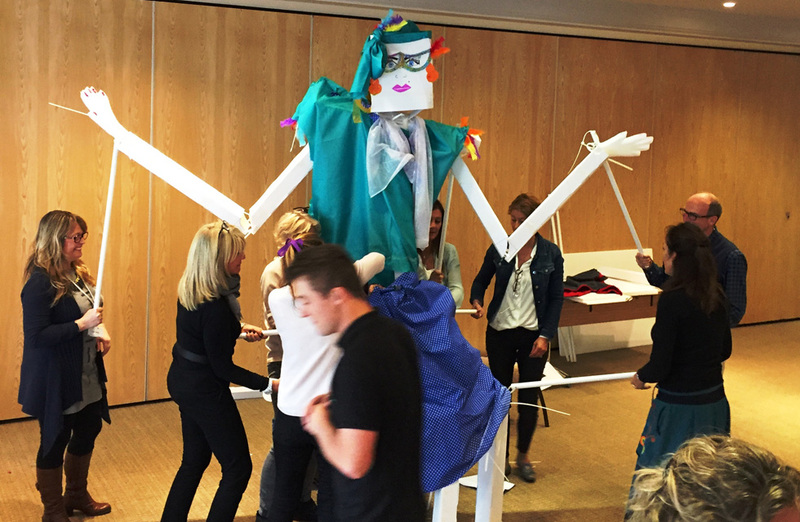 Final steps saw the teams fixing their ‘movement poles’ to their incredible creations, as they then set off to practice moving, walking and dancing with their puppets. The grand finale to the day was one with continued collaboration in mind, as all three teams came together to deliver their very unique, highly entertaining and absolutely hilarious puppet version of the famous YMCA dance! 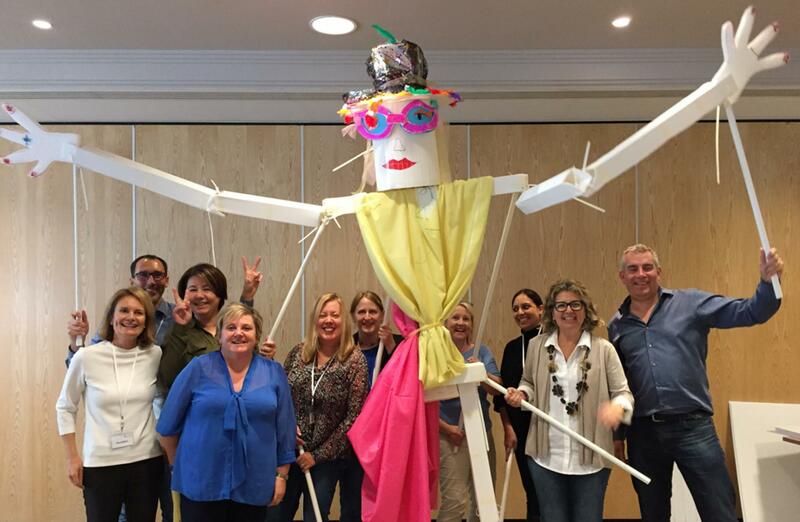 Arms flailed and legs thrashed as the sound of the YMCAS rung out through the Runnymede Hotel – a fitting end to what had been a brilliant morning of team building. 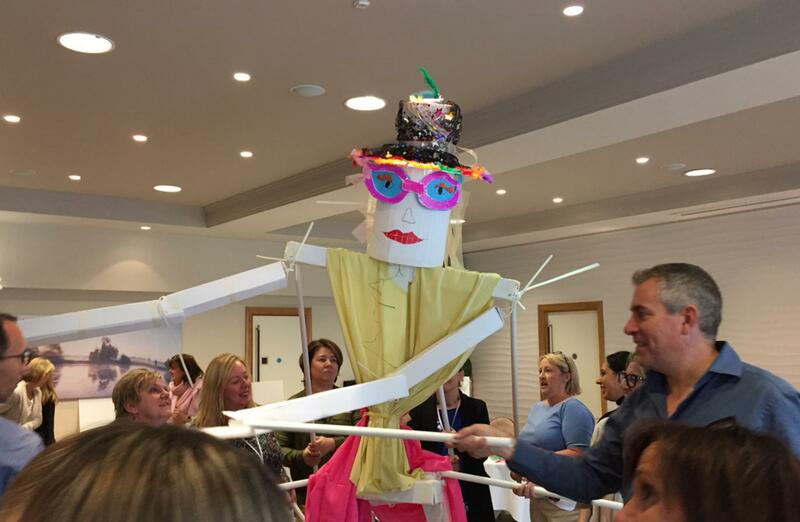 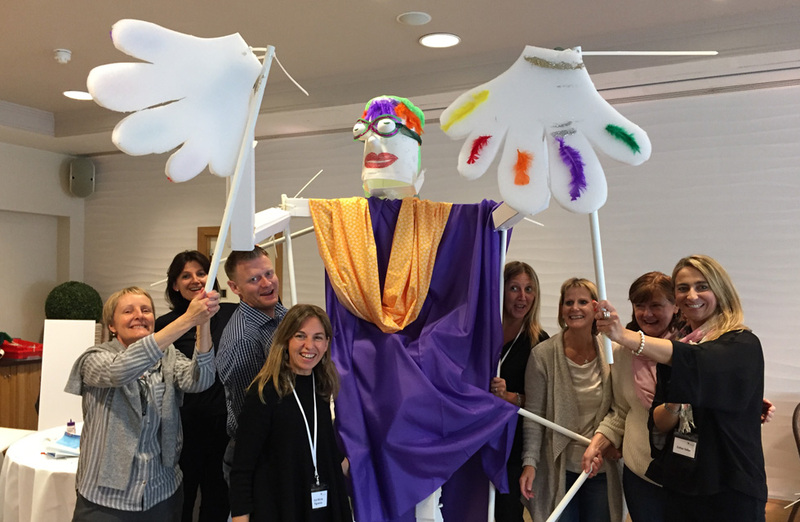 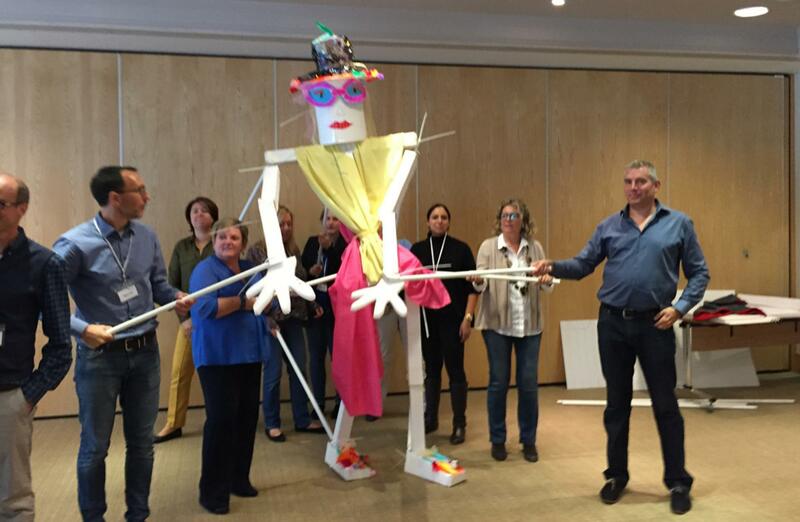 We had thoroughly enjoyed a wonderful morning with the Astellas Pharma team, and our Puppet Master experience had been the perfect energiser ahead of their afternoon of further meetings, ensuring that the entire day was spent with a smile on the face, laughter in the soul, and a sense of team togetherness throughout the entire group. 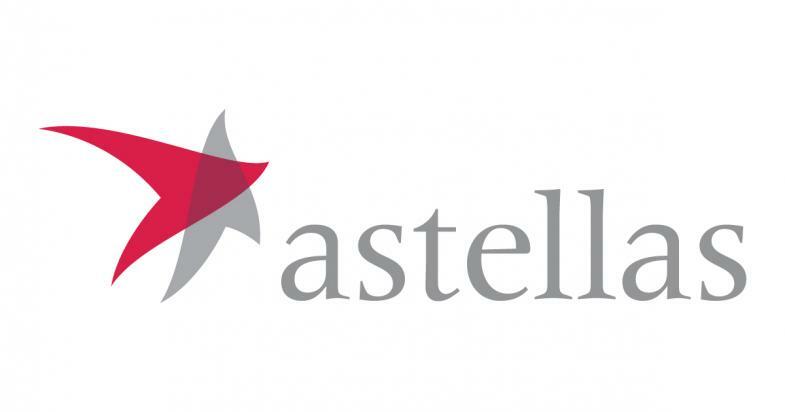 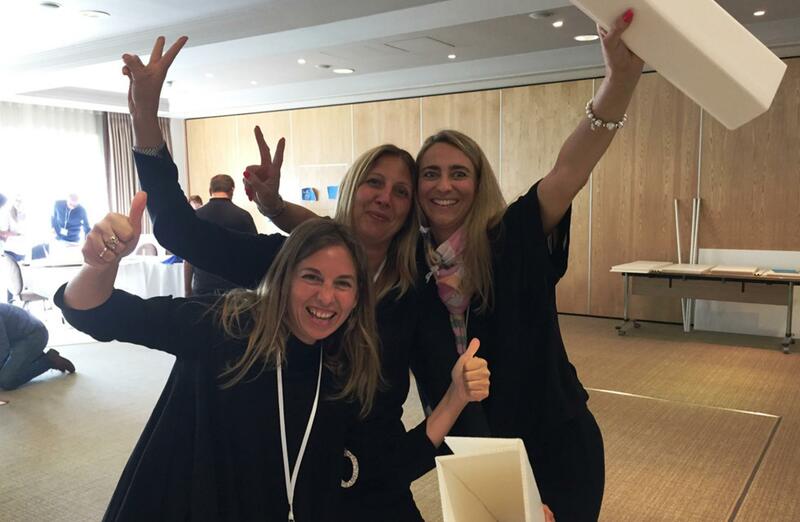 A big thank you must go to Natasha and Claire for all their hard work in organising such a brilliant morning session – we really hope all from Astellas Pharma enjoyed the experience, and we hope to see you all again soon…perhaps for another Dance-Off!